What is A Facelift? You have 2 options… The surgical facelift and the nonsurgical facelift procedure. Which is better? 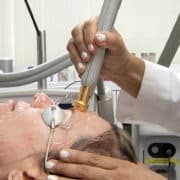 A surgical facelift (very different from a nonsurgical facelift) is an extremely popular surgical technique. The facelift procedure ranks among the most popular cosmetic medical procedures. 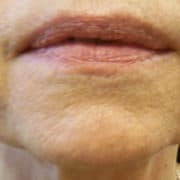 For many decades facelift techniques have been constantly improving. These days, many qualified plastic surgeons routinely perform facelift procedures, and even some very good non plastic surgeons perform nonsurgical facelifts. This provides a potential patient with many different options in choosing a local doctor who can perform a good facelift. Both men and women regularly benefit from facelift surgery. This is especially true of nonsurgical facelifts. Even though men wrinkle a bit more than women (because of extensive unprotected sun exposure) the facelift procedure is popular with both sexes. Because women typically have more hair then men, facelift incisions can be easily hidden. An expert surgeon however, can hide the inevitable scars even on men. A typical facelift is a surgical procedure for adults of both sexes and of various ages to appear younger. A surgical facelift is extremely complicated procedure. Usually surgical face lifts go below the skin in order to reposition the facial muscles under the skin, as well as tightening skin that has become saggy. In this way wrinkles are reduced and excess skin that is “saggy” is removed. In the best cases, a customized facelift procedure is tailored to meet a patient’s individual desires for a particular look. The multiple modality nonsurgical facelift is known as the most customized procedure of all types of facelifts. Many advanced surgical and laser techniques have been developed that allow facelifts to look more natural. The best surgeons can achieve remarkable results with little evidence that a surgery has taken place. Of all types of facelifts, the multiple modality nonsurgical facelift is the most natural of all, and produces the most natural results. The facelift surgery is extremely complicated and demands a high level of skill. When a facelift procedure is done well, it will be difficult to detect and the resultant younger face will seem natural. Some believe that it is best that the surgeon be board certified. The nonsurgical facelift by definition has the fewest risks of creating any unwanted side effects that can be detected after the procedure. Though facelifts like all surgical procedures are inherently dangerous, the risks can be minimized. The fact is that thousands of surgical facelift procedures are performed every day. The nonsurgical facelift is growing in popularity because it is the safest and produces the most natural results. A successful surgical facelift as well as a nonsurgical facelift can improve on the physical appearance of a patient and boost their confidence. Many believe that a good facelift that also lifts a person’s confidence is the key to a better quality of life. Typically a facelift patient will get back to their normal daily activities quickly with minimal interference with their daily work and social routine. Nonsurgical facelifts are famous for safe and quick procedures with little to no down time at all. What is a Facelift? Before and After a Nonsurgical Facelift. A facelift procedure might be the right choice for you if you desire to improve your appearance and are willing to risk surgery. Especially if you think that a nonsurgical approach can not produce what you want, a surgical facelift is something you should consider. However, whatever you think the limitations of a nonsurgical facelift are, a multiple modality nonsurgical facelift such as the SpectraliftTM can produce absolutely stunning results of physiologically stronger and healthier skin that looks younger too. Given all the new facelift technology that is available today, and the growing number of doctors who provide facelifts, it is easier than ever to have one. However, a facelift procedure is still a serious surgical procedure that needs careful consideration and getting educated. 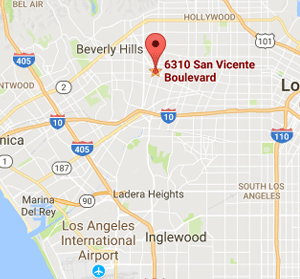 That is one of the main reasons for this website, to help you learn about both surgical facelifts and nonsurgical facelift procedures. What is a Facelift? Before and After a Surgical Facelift. As you learn more about the limitation of surgical facelifts the better you are likely to feel about a nonsurgical approach to recapturing your younger face. Doctors who are experts in nonsurgical facelifts and alternative medicine, are also typically very good at educating their patients. 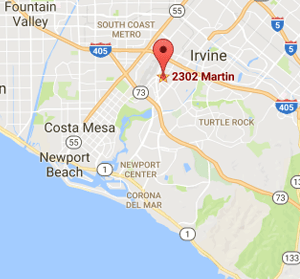 This makes finding the right facelift doctor easier than the very competitive world of plastic surgeons. Typically surgical facelifts are complicated procedures that require a full surgical staff as well as an antiseptic operating room. The purpose of a surgical facelift is to reposition the patient’s skin, by physical manipulation in order to produce the appearing of tighter younger skin. 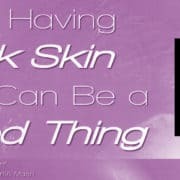 The skin of virtually every ones’ face will wrinkle, get thin and sag because of aging, loss of collagen and sun damage. This is why facelift surgery was invented, because people often look older than they feel. Typical surgical facelifts utilize incisions on the hairline, around the ears and the neck. A good surgeon will attempt to hide these incisions so that there is minimal evidence that a surgical facelift has been done. However, even the most successful surgical facelift creates scars. 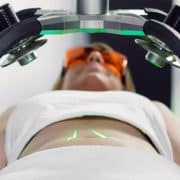 A nonsurgical facelift doesn’t use incisions at all, and leaves no evidence at all that a facelift procedure was done. In many cases, the patient has also lost volume of their face from the loss of fat. Therefore, a really good facelift will account for recreating the volume that is lost. Both surgical and nonsurgical facelift procedures rectify this. Surgical facelifts typically will move the patients fat from somewhere on their body it is unwanted and place it under the skin of the face. A nonsurgical facelift will recreate lost volume by causing the skin to naturally regenerate lost collagen, which thickens and strengthens the skin. 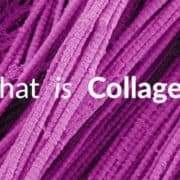 Then, after the full effect of the regenerated collagen is assessed, natural dermal fillers are used to replenish volume that is lost because of fat loss. 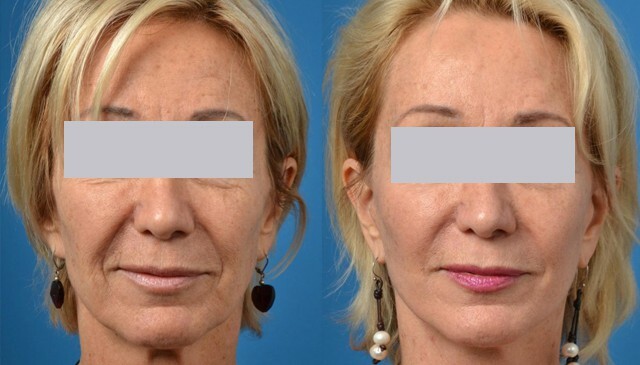 This is another reason that a nonsurgical facelift, such as the multiple modality SpectraliftTM is considered the superior facelift by those who are concerned with holistic natural methods that achieve natural outcomes. Watch the Video : What is a Facelift… The Nonsurgical Facelift Explained. Many surgeons will claim that to be the best facelift surgeon you have to be an artist. In other words they believe that a good surgical facelift will “create youthful beauty”. On the other hand, there are many who believe that the youthful beauty you were born with is the ultimate beauty for you. Not a surgeon’s idea of what your face should look like, but what it actually did look like when your skin was young, healthy and firm. Therefore, a facelift procedure that brings back your young, healthy and strong skin will naturally be the most beautiful face for you. 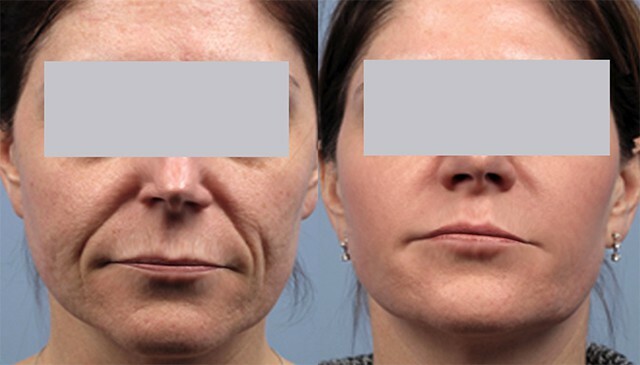 The only facelift that can do this, is a nonsurgical facelift that utilizes multiple modalities like the SpectraliftTM, developed by Dr. Pien and Dr. Milgrom of AMA Regenerative Medicine & Skincare. All facelift surgical treatments reduce wrinkles and droopy, saggy skin. Though there are many risks and disadvantages to the surgical approach to a facelift, the one significant advantage is that a surgical facelift is a one-time procedure. It is essentially a medical “transaction”. Hopefully the aesthetic results will last a long time, though most surgical facelift procedures are repeated on average in about 5-8 years. This means the average surgical facelift patient will have the facelift repeated 4-5 times. Each time the surgical facelift is repeated, the risks are greater and the outcomes progressively less natural looking. On the other hand, the nonsurgical facelift needs a quick and easy boost every 1-2 years, that requires but a few minute and no down time. By this nonsurgical facelift method your own skin keeps making its own natural collagen for a truly natural and totally healthy look. Your skin looks young and healthy because it is young and healthy. That is what the patients of AMA Regenerative Medicine & Skincare report, who have undergone the SpectraLiftTM multiple modality nonsurgical facelift. 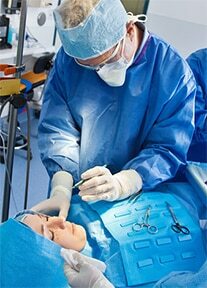 A complete facelift will address all aspects of how the patient’s face looks and will be customized to the individual. In many cases the facelift procedure will include a brow lift, and eyelid surgery, as well as skin resurfacing achieved with lasers. Other areas that may need attention include under the chin and the neck, which can all be included in the facelift procedure. The nonsurgical facelift can address all these areas as well as the chest, back of neck and ears. A surgical facelift utilizes a number of incisions that are made inside the hairline at the temple, and from there extending down behind the curve of the ear. A nonsurgical facelift has no invasive incisions, and suffers no risk of complications such as infected incisions. It is through these incisions that the facelift surgeon will attempt to manipulate the skin and muscles to reshape the face. No matter what technique the surgeon uses, this process if quite forceful as many internal fascia layers must be cut, torn and separated. That is why so many surgical facelift patients are very bruised after their procedure. Compared to the intensely forceful surgical facelift, the nonsurgical facelift is a gentle procedure that causes little if any down time at all. In a typical surgical facelift, the final step is to cut away the excess skin and sew up all the incisions. Once complete, the patient must then recover from general anesthesia before the healing and recovery process can begin. Then comes the long, painful healing and recovery period typical of a surgical facelift. 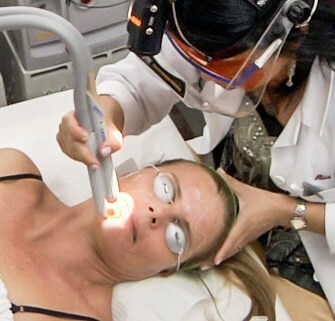 In contrast, a nonsurgical facelift, such the SpectraLiftTM, requires no general anesthesia, is performed as a simple out-patient basis, and patients go home or back to work immediately after the procedure.